Originally written and published on The Huffington Post. For many thousands of years, the howl of wolves echoed throughout the rugged Rocky Mountains of Colorado. Now, those mountainsides are silent. A state-wide campaign to eradicate wolves through poisoning, trapping, and shooting largely succeeded by the 1940s. By 1945, all established wolf packs in Colorado were killed. The loss of wolves in Colorado means more than the loss of howls throughout our mountains; it means an unraveling of the balance of nature. For example, without wolves to keep prey on the move, elk now congregate for long periods of time in sensitive habitats along rivers and streams. These elk have severely reduced willows and the other streamside vegetation, leading to bank erosion and degradation of habitats for bird and aquatic species. 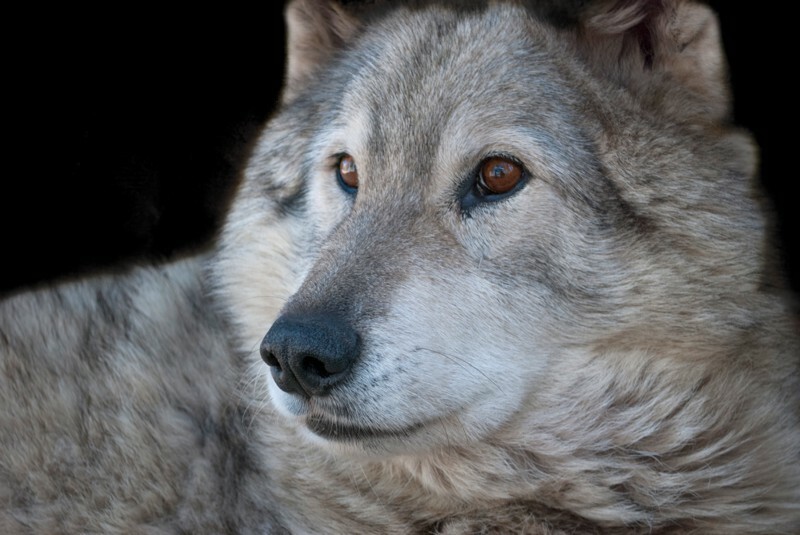 Coloradans want their wolves back. Recent polling shows that 70 percent of residents support the state restoring wolves to the Colorado wilderness. They value healthy landscapes and healthy wildlife populations and would be proud to share their state with an iconic animal like the wolf. But the Colorado Parks and Wildlife Commission isn’t listening to the citizens of Colorado. Instead, it has passed three resolutions in the last 35 years – the most recent one in January 2016 – banning all wolf reintroduction into Colorado. Defenders is deeply committed to returning wolves to Colorado and has been working with other organizations for years toward this goal. However, we know wolves won’t be back in Colorado without a groundswell of active support from citizens across our state. And that’s why we are excited to announce our participation in the Rocky Mountain Wolf Project to restore Colorado’s natural balance and return this long-lost voice to the wild. The Rocky Mountain Wolf Project officially launched in March, but we’ve already begun collaborating with them and other partners to put a spotlight on the need to return wolves to Colorado. In February, Defenders, the Rocky Mountain Wolf Project, the Rocky Mountain Chapter of the Sierra Club, and W.O.L.F. Sanctuary hosted “Wolf Conservation in Colorado: Past, Present, and Future” to begin a series of public events across the state to promote thoughtful discussion about wolf recovery in Colorado. At this inaugural event, attendees met Sasha, an ambassador wolf from W.O.L.F. Sanctuary, and watched a special screening of the documentary “A Season of Predators.” Directed by Jason Kauffman, this film looks at the ways landowners in other Western states have successfully worked to reduced human-predator conflicts. Highlighting two communities, one in the upper Blackfoot Valley in western Montana and one in the Wood River Valley in south-central Idaho, Kauffman’s documentary discusses the challenges livestock producers have faced living in wolf country and the collaborative, nonlethal solutions they have used to reduce livestock losses to wolves and grizzly bears. Studies have shown that these coexistence efforts can be more effective than their lethal counterparts. Following the film, a panel of diverse voices in support of wolf recovery discussed the benefits and challenges of restoring wolves to Colorado. The panel featured the project coordinator for the Wood River Wolf Project, a professor with the Department of Fish, Wildlife, and Conservation Biology at Colorado State University, a ranch manager from Carbondale, and a sportsman from southern Colorado. Members of the panel spoke about why they believe wolves should be restored to Colorado and what Coloradans can do now to build a foundation of support for their return, including working with ranchers and sportsmen to address concerns they have about returning another predator to the landscape. They also answered questions from the audience about tools and techniques that have been successful in reducing wolf-livestock conflicts, ways to educate citizens about wolf recovery, and how bringing wolves back to Colorado would help restore the state’s natural balance. Read this post on The Huffington Post, where it was originally posted.